As I said in my last blog post, the Dev-Team have released the latest version of the ultrasn0w carrier unlock for the iPhone 4. Version 1.0-1 is now in Cydia and if it’s not then just add the repo666.ultrasnow.com repository. It works on the iPhone 4 with baseband 01.59 and on the 3G/3GS basebands 04.26.08, 05.11.07, 05.12.01 and 05.13.04. Planetbeing of the iPhone Dev-Team confirmed that the ultrasn0w unlock for iPhone 4 will be available tonight for all those who need to unlock their newly jailbroken iPhone 4’s. 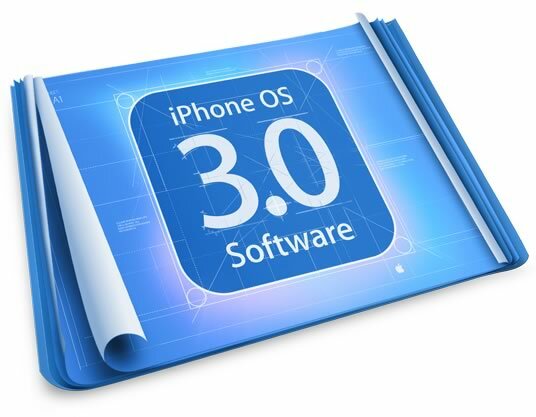 Apple earlier today released the latest iPhone OS, version 3.0.1. This update fixes the major SMS security issue that they have finally fixed. There hasn’t been many changes in the latest firmware release that have been found other than the SMS fix, feel free to email them in if you find any. If you want to jailbreak your device it has been reported that in most cases it works fine but maybe wait a while until everything gets checked out. Doesn’t patch any mach-o binary whatsoever. (Doesn’t require a separate patch as each new firmware comes out). Geohot has released his own unlocking software, like ultrasn0w, for the iPhone 3GS. Playing off the Dev-Team’s naming scheme he called it Purplesn0w. The user is required to have a jailbroken device so that the unlock can be downloaded through Cydia, like the Dev-Teams unlock. Wifi fails? Battery fails? Unlock fails? You need purplesn0w, the geohot 3GS unlock solution. Now I know you here a lot about different colors of sn0w, but I’m here to tell you why purplesn0w is the best. First off, what is purplesn0w? It’s a soft unlock for your 3GS that I’d actually use day to day. It’s not a daemon that takes any resources, and it doesn’t add a task to your baseband. It’s very close to a true unlock. All it does is patch three files, CommCenter, lockdownd, and your wildcard activation plist(which you need, activate w at&t sim first, no hacktivation support yet). That’s it, no other files are installed. Props to Oranav for the at+xlog exploit! A full explanation is coming soon, but I think you clever reversers out there will see what it does, and see why it’s so pristine 🙂 The payload is radically different from other varieties of sn0w. beta as usual, back up first. Disable 3G if you don’t have it(like T-Mobile). ultrasn0w 0.8 has been released today and is now fully working on the 3Gs. The main 3GS ultrasn0w glitch on hacktivated devices is: need to do Settings->General->Reset->Reset Network settings once. They have said that stability should be drastically improved for unltrasn0w on the 3GS, for some people however it may take up to 75 seconds after reboot. To get ultrasn0w 0.8 add http://repo666.ultrasn0w.com/ to your sources. The Dev-Team announced today that the 24Kpwn exploit that the hybrid team used on the iPod Touch 2G, is still applicable to the bootrom of the iPhone 3GS, therefore meaning the same sort of technique can be used as current jailbraking tools such as redsn0w. The good news is also ultrasn0w can used used on the iPhone 3GS, without any modifications. Apple are still continuing there effort to fix these flaws in the iPhone which allow for jailbraking and it will take a while for the Dev-Team to safely work out the new efforts made by Apple, ready for the new tools.